You might have heard of Raise, the popular online marketplace for buying and selling gift cards. While the online marketplace has been around for over a year, Raise just recently launched its own app, and it’s a smart move that makes the service more accessible during the times when you might actually use it. You use Raise for two things: You can browse and buy gift cards at a hefty discount — instantly — or sell a gift card of your own that you don’t see yourself ever using. 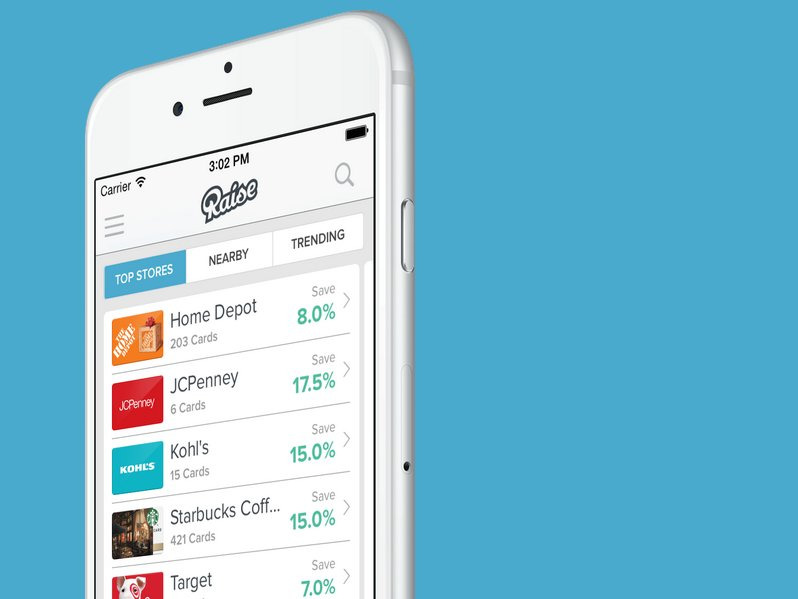 That’s why Raise makes a lot more sense as an app. 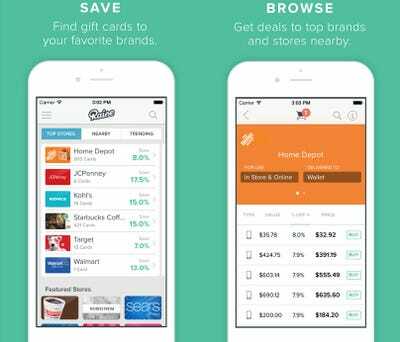 If you’re on your way to make a purchase, a savvy buyer could use Raise to knock 5% or 10% off that purchase, sometimes even more, and the app makes this easy by showing you offers on gift cards from stores nearby. Unlike other gift card marketplaces, you don’t have to wait for the seller to ship the gift card to you before you can use it. Because of this, Raise is basically like an online coupon marketplace that makes sense to visit if you’re already planning on making a purchase. Raise’s marketplace is also user driven, so there’s a great selection of gift cards from plenty of stores. The free market aspect of the app keeps the discounts competitive, as sellers in a hurry will offer a steeper discounts to get paid faster. 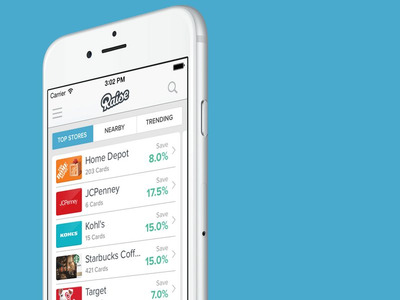 Once you find and purchase a gift card, Raise makes is easy to keep track of your cards with its own mobile wallet. Here you can track your total savings, check the balance of your gift cards, and apply them toward a purchase online or at a physical store. 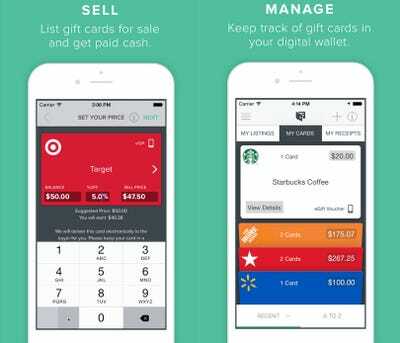 You can also sell your own gift cards online with Raise, and the app lets you decide how much of a discount you’d like to list your card at. The steeper the discount, the higher the chances that your card will sell faster. 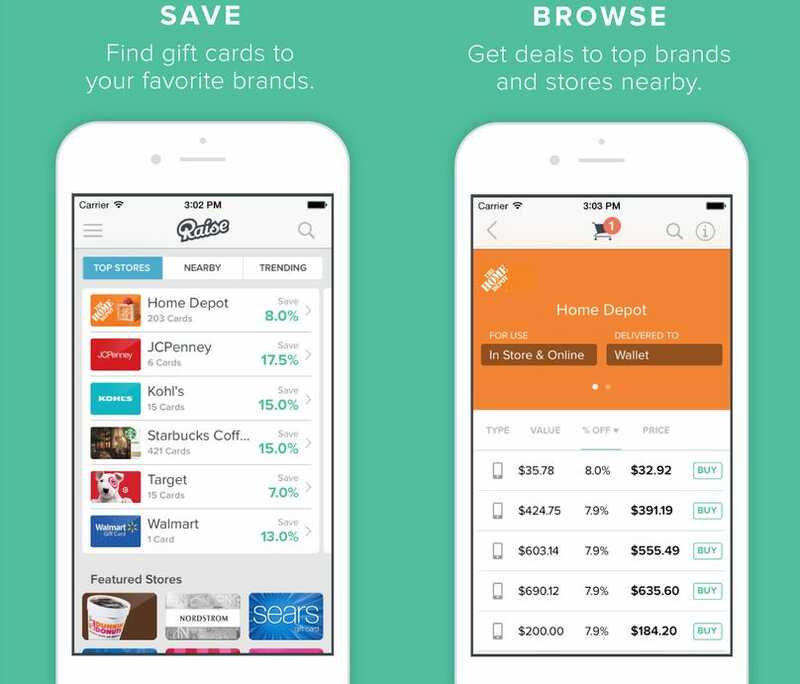 Gift card marketplaces are nothing new, but Raise has done a good job turning what used to be a long process into something instant. And by untethering its service and offering it on mobile, it’s a handy way to save money on a purchase you were already planning to make. You can browse Raise’s online marketplace here, or download the app for yourself over at the App Store.